Leviton Sectional horizontal split wallplate with grommet, has 302 stainless steel construction for strength and durability. It features one telephone or cable configuration to accommodate one connection. 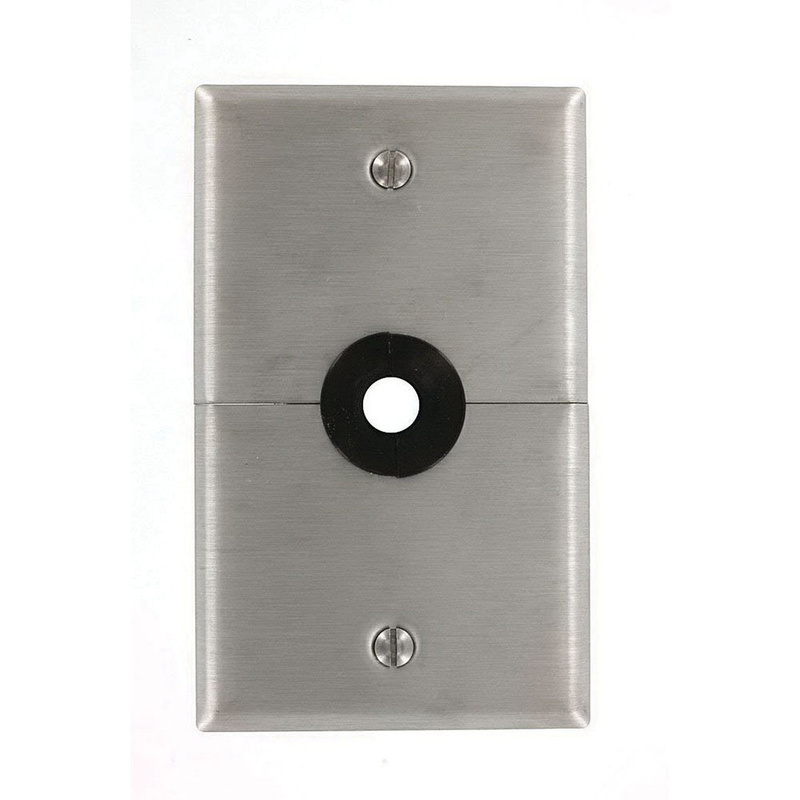 This 1-Gang box mountable wallplate in satin finish, mounts in a vertical orientation for easy installation. It has a cutout hole of 0.625-Inch to provide connection. The wallplate is suitable for use with terminated cable. The wallplate meets UL and CSA standards.